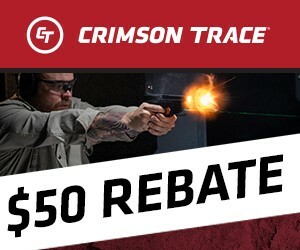 Customers who purchase a Crimson Trace laser sight between March 1, 2019 – April 20, 2019 will be eligible for a $50 Rebate, upon submission of qualified redemption form. > One (1) original store receipt dated March 1, 2019 through April 30, 2019. Circle Crimson Trace purchase. > One (1) original UPC code removed from Crimson Trace packaging. > Contact (800) 619-4703 for assistance or inquiries. These great pistols can’t be compared, that would be like comparing a Peach to a Nectarine. But We can provide a quick walk down on primary differences. H&K’s MP5K traces it’s beginning to the 1960’s. With H&K’s quality build, the fully ambidextrous MP5K is one of the Short Barrel Rifle NFA conversion favorites. 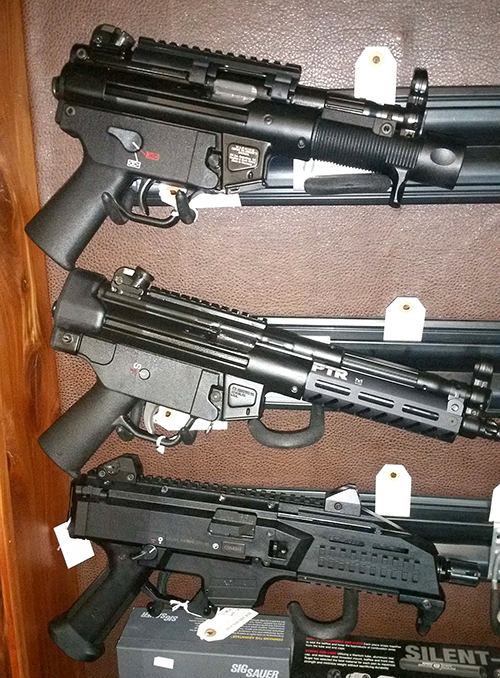 PTR’s Aynor, South Carolina headquarters has delivered one of the finest MP5K clones Shady Oaks can offer. Unlike the original, the PTR does not include ambidextrous controls, but it also does not include as long a trigger pull and it does include an easier racking experience. PTR is absolutely a viable alternative to the hard to find H&K MP5K. Shady Oaks Gun Range is pleased to offer FNH FN 15 Sporting Semi-Automatic chambered in .223/.556. What makes this FN Rifle so special you ask? This beauty will be available to deliver tomorrow, 10/31. It is priced to Sell FAST, so 3-Gunners beware. Snooze and this Sporting FN rifle will be GONE GONE GONE. The craftsmanship on the FN rifles is phenomenal and so is reliability which is why FN has been producing rifles for US Forces for many years now. Friends, many have requested this, and through the end of August, Shady Oaks Gun Range is offering $75-off select Glock Gen 4 Pistols. The sale includes nearly all models except G42 and G43. This Glock sale is good while supplies last. Don’t wait, our supply is truly limited. Smith & Wesson’s M&P 15-22 SPORT is also available at $75-off through August. Limited to supplies on hand, this is one tough 22LR that is both affordable and a great shooter. You can leave your AR/MSR 223/5.56 NATO home and shoot 100’s of rounds for a fraction of the cost while running real MSR drills. Sold our First 15-22 today at the sales price. These will not last long so don’t wait or they will be GONE. After many delays, we are pleased to officially announce our EXPANSION! We had a groundbreaking ceremony on Friday, July 14th along with Texas Parks & Wildlife, Texas Rifle Association, and the Cedar Park Chamber of Commerce. When the expansion is complete, we will have a 50-yard indoor rifle range with six lanes in addition to our current 25-yard indoor range. We will also have more parking, another classroom, and a bigger outdoor archery range. If you’re interested in a membership, be sure to stop in BEFORE Friday, July 21 to lock in your membership rate. Effective July 21st, membership fees will increase for new members to include the new rifle range, which you can practice with real weapons or with several types of airsoft guns that work with air and pellets, but existing members can renew at the old rate if they are a member before July 21. Friends, some actually enjoy firearms in color other than Black. 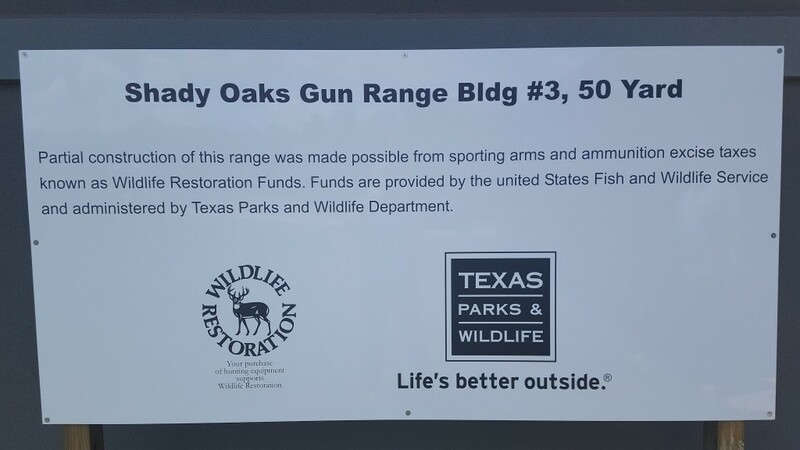 Shady Oaks Gun Range would like all to be certain that we offer many other colors. Like…Drab Olive Green and Desert Sand. Pictured here for your review and purchase are offering by FN, Smith & Wesson and Glock. 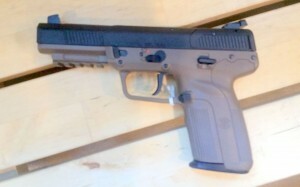 – The FN 5.7 is super lightweight High Capacity Pistol and rarely seen in public. – The S&W M&P Pistol has been known to reach out accurately beyond 100 Yards and this 5 inch barrel Desert Tan copy is up to the task. Friends, the Manufacturing Rebates are tremendous. Along with S&W winding down their deals through June, Walther has joined in. So if you are looking for great Full Size Pistols or Compacts, now is the time to make your purchase. 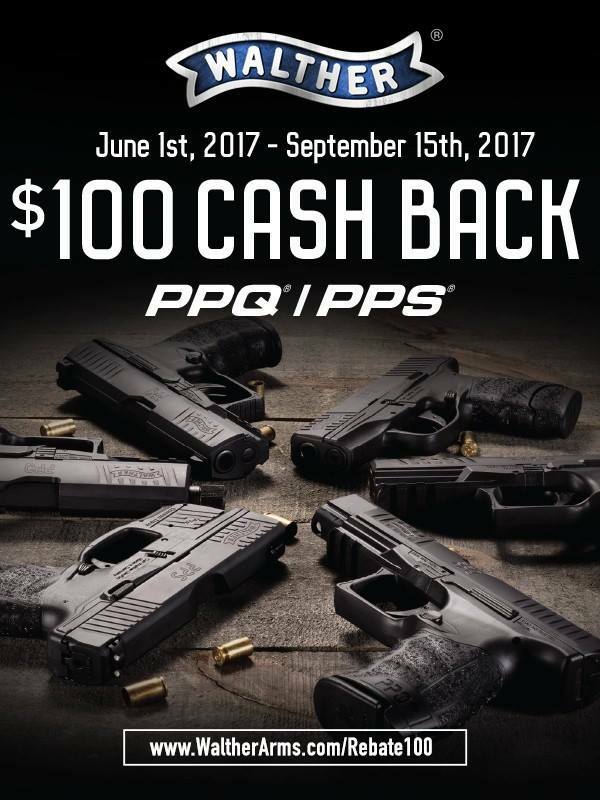 Walther’s offer covers Walther PPQ M1, PPQ M2, PPQ Navy, PPQ 45, PPS M2, PPS M2 LE, PPS M2 Laser Set, or Color variations. Shady Oaks offers all applicable models, but supplies on some may be limited, so sooner is likely better than later. Shady Oaks also offers most of these models within the Rental fleet, so you can shoot before you buy! POF’s GEN4 REVOLUTION – This must be the lightest 308 AR in the WORLD at just over 7lbs, this piston driven rifle is as much as 2lbs lighter than most .762 X51 NATO rifles. A new Chamber design aides extraction and one can only wonder why everyone doesn’t have their billfolds unfolding. 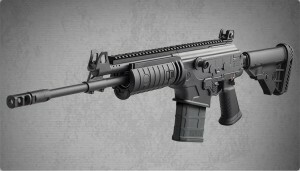 Galil ACE Rifle – This IWI design weighs in at 8.5lbs and features ambi controls, side folding telescoping combed buttstock and adjustable iron sights with Tritium inserts. The design has been tweaked to perfection during the last 40 years. COLT – Friends, this is the Colt 308 Rifle at just under 8.5lbs. The COL MARC901 308 is highly adaptable, even to 5.56 w/kit, full ambi controls and Gas Impingement operation. Like most Shady Oaks firearms offerings, these are not your Typical Big Box offerings. Come down and check out the most versatile rifle rounds ever, the Winchester 7.62 X51 NATO with more than twice the energy and range of your best 5.56. However we have two sweet LWRC’s in 5.56 if the 7.62 rounds are bit too much in recoil and cost. We’ve had numerous requests to add the Sig Sauer P320 to our rental gun collection, and we’re pleased to announce we have one available now! It’s popularity is largely due to the US Army retiring the standard-issue Beretta M9 after 35 years in favor of the Sig Sauer P320. The P320 is a polymer, striker-fired pistol which has been on the market for civilians since 2014. Its Modular Handgun System (MHS) features interchangeable grips to accommodate hands of all sizes, and it accepts a number of attachments and accessories, like suppressors. It is available in three sizes, and each can be modified for size and caliber to suit different conditions and assignments. 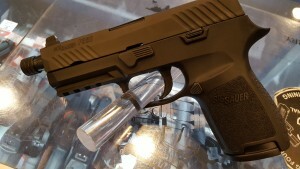 Come by Shady Oaks Gun Range and try out the Sig Sauer P320 in 9mm. Remember, our rental fee is a flat rate, not per gun, so you are able to try all of our pistols (one at a time) for a single $20 fee plus the cost of ammo and applicable range fee. 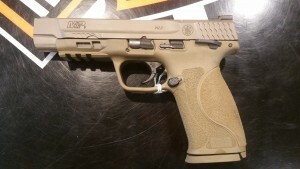 – Smith & Wesson’s M&P 2.0 – See them, Shoot them, Buy them. Friends, as a S&W stocking Dealer, Shady Oaks added a host of new S&W Pistols to our Rental Fleet. Don’t Miss the opportunity to Try and Buy. We don’t believe in Buyers Remorse so always ask if a test shoot rental is available before you buy, and you can also get many other accessories to use weapons, such a lightweight concealed carry jacket to take all your weapons with you. MGI’s Hydra system allows the shooter to switch between the highly affordable 22LR and highly effective 223 or 7.62 in about 90 seconds or less. These two bundles will never again be offered at the current low price because special one time discounts are passed directly to our friends. Save as much as $300 NOW. 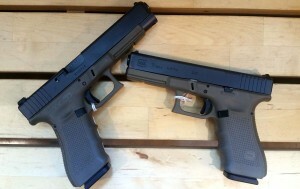 – Fantastic Previously Enjoyed Hand Gun Deals – Ask to See, no room to display them all! Great Rentals have migrated to the sale rack…these are tremendous value, just no room for them. -S&W’s 460 Magnum, the most powerful handgun in the world is SOLD. So if your range neighbor’s handgun report startles the beegeebees out of you…that would be the 460 Magnum. Give your neighbor a smile and brace yourself. – Golden Cheek Warblers? Friends, the GCW concern is addressed. Bldg #3, 6 Lanes , 50 Yards is back on track! We are so pleased with all our friends long suffering patience. – R8? Yes we have one (1) in stock. Nuf said.